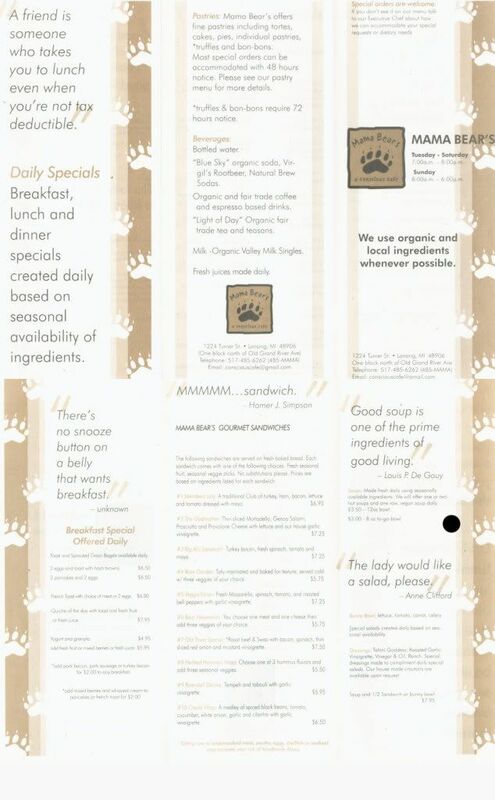 There’s a little soul food place in Old Town that I’ve been wanting to go to for quite some time. 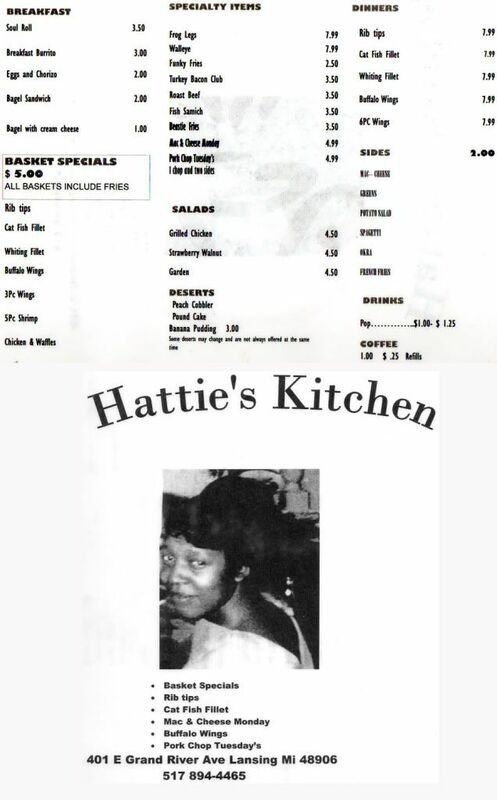 Up until a few months ago, it was called Vernadine’s, but it now goes by the name Hattie’s Kitchen. 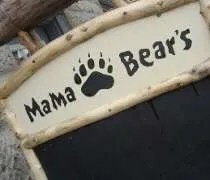 J and I were out running some errands and since we had some extra time, we headed down Grand River Avenue through some horrendous construction in search of some good comfort food. 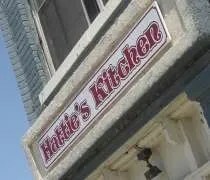 Hattie’s Kitchen is in Lansing’s Old Town on the corner of Grand River Avenue and Center Street. 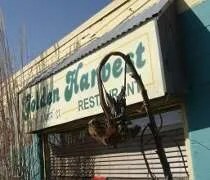 It’s a small, corner building with the entrance accessible from either street. As we drove through the Old Town Neighborhood, we noticed a lot of people out walking around and enjoying some of the other dining establishements. That got me a little worried about getting a meal during the lunch rush.